Update 10/12: University of Pennsylvania AAA 88.5 WXPN Philadelphia has announced it is the buyer of 91.9 WNTI Hackettstown, NJ from Centenary College. WXPN will pay $1,250,000 in cash and give Centenary $500,000 worth of underwriting over 10 years for the station. WXPN will begin airing its programming on WNTI on Thursday, October 15 at 12:00pm when it begins operating the station via Public Service Operating Agreement. Today Centenary College of Hackettstown, New Jersey and Philadelphia public radio station WXPN 88.5, owned by the University of Pennsylvania, jointly announced a sales agreement and transfer of ownership for the broadcasting license of WNTI 91.9 FM, the public radio station owned by Centenary College, to WXPN. WXPN’s award-winning music programming will be broadcast on WNTI starting at noon ET on Thursday, October 15. WXPN produces NPR’s most popular program of popular music, World Cafe, which was heard on WNTI twice daily and will remain part of its music programming. The Public Service Operating Agreement will start at noon ET on Thursday, October 15, 2015. WXPN programming will begin at 91.9 FM at that time. FCC approval of the transaction is expected to take 60 to 90 days after the filing. Sale price is $1,250,000 in cash and another $500,000 in underwriting value over 10 years.Public Media Company represented WXPN/University of Pennsylvania throughout the transaction. Centenary College was represented by Patrick Communications. Centenary College’s mission is to provide a quality liberal arts education with a strong career focus. To deliver on this promise, we constantly evaluate Centenary’s operations and assets to ensure we are delivering on our top priority — providing our students with a rewarding educational experience that prepares them for the future. As part of this ongoing review, we have decided to transfer Centenary’s broadcasting license to another public radio station. We are in the process of finalizing the sales agreement with the new operator, who shares WNTI’s commitment to great music and has the resources to serve the needs of local listeners for many years to come. The proceeds from the sale of the license will be re-invested in Centenary’s academic programs, to benefit current and future students. 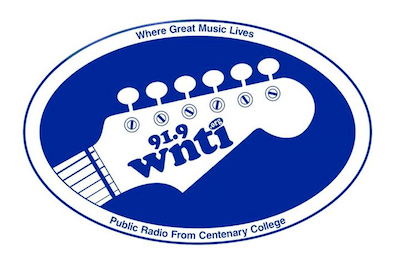 Centenary will retain its on-campus studio and will continue to operate an internet radio station at WNTI.org, and we will develop new opportunities for students to participate in its operation, along with WNTI’s community volunteers. WNTI was established over 50 years ago as a college radio station to serve the Centenary campus and to help our students gain first-hand experience in broadcasting. Over time, WNTI evolved from a student-run station into a National Public Radio station serving a regional audience, with a dedicated team of community volunteers and many loyal listeners. Now WNTI is going in a new direction. The change we are undertaking is difficult, but we firmly believe is in the best long-term interests of Centenary College and the greater community served by WNTI. The buyer will not be identified until the sale is finalized and the agreement is filed with the FCC. Original Report 10/6: Centenary College AAA 91.9 WNTI Hackettstown, NJ has locked out its airstaff as the station will be leased out to an as yet unknown Public Radio operator. NJArts.net reports that the mostly volunteer airstaff were locked out of the studio on Monday. While one staffer there says that the station was sold to NPR, we know that not to be the case as National Public Radio does not own or directly operate any stations directly. Another staffer is quoted as saying WNTI will be leased to another public radio operator which makes much more sense. Centenary College intends to relaunch the station as a student run webcaster. WNTI serves the northwestern corner of New Jersey and Stroudsburg, PA (Coverage Map). In all likelihood, WNTI-91.9 will become part of New Jersey Public Radio (run by New York’s WNYC stations) and will likely run public radio news/information programing 24/7. While NJPR has a transmitter in Northwest New Jersey, WNTI has a much larger signal area, and this will allow many thousands of additional people in that area to get NPR news/information programming on a stronger signal. While I definitely can’t rule out NJPR/WNYC, the Lehigh Valley’s WDIY might benefit more from that signal–even if it doesn’t really cover much of the core metro. And, even though Scranton’s WVIA doesn’t have any New Jersey-based coverage, it already has some repeaters nearby (e.g., Stroudsburg). WNTI might have been financially out of reach for WDIY, which needs a full-power class A plus 2 translators just to cover the Lehigh Valley. While I did notice the reference to “music” in the College’s brief initial statement, I still thought that a News/Talk-focused operator would be a more-logical buyer. However, now that this new, longer statement also specifically includes that word, it looks like it’ll end up being a music format. I don’t think that WDIY would (or even could) launch a complementary format, so maybe it’s, say, WXPN or WFUV deciding to expand. This is a good thing for NW Jersey. And just in case notlob’s Celtic music buddy comes on here with the “NPR Borg” post he put on Scott’s story about WNTI, the station ALWAYS WAS an NPR member and carried NPR programming, including the XPN-produced “World Cafe.” (And XPN had to become an NPR member for NPR to pick up the show from PRI.) Under the standards of notlob and his buddy, NTI had already been swallowed by “the NPR Borg” years ago. And for a bunch of guys who hate pop culture, why the references to the “Star Trek: The Next Generation” villains? Since when was “Star Trek” high culture?